Adrian Peralta Killed in ‘Troubled’ Orlando Sports Bar; Negligent Security? Could this tragic Orlando sports bar shooting have been prevented and are justice and compensation available to Mr. Peralta’s family? What additional security measures, such as weapons screenings, bag searches, monitored surveillance cameras, and off-duty police, were implemented by the bar owner to deter crime and protect patrons following media reports of prior violence on property? Generally, property owners are required to protect all those legally on the premises from any foreseeable harm. 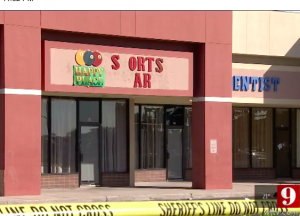 Should the facts of this matter reveal that the sports bar owner failed to provide adequate security to protect those on its premises, Adrian Peralta’s family may seek justice and elect to pursue legal claims for his wrongful death.